I knew this was going to be an emotional day and tried to prepare myself and the kids as we headed out to the D-Day beaches. 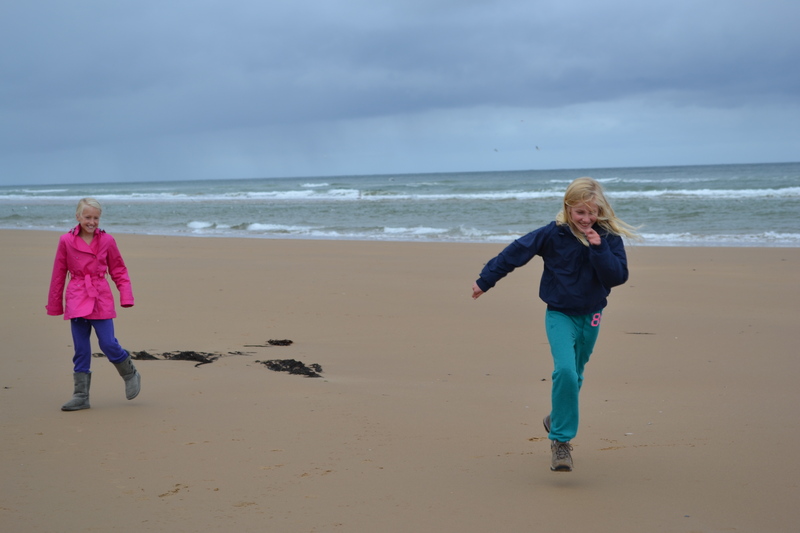 We chose to visit the beaches where the Americans had landed during the D-Day invasions, but you can also visit the beaches where the English and Canadians landed, as well. Traveling in Europe, in itself, it such a good history lesson, but this part of Normandy has such a specific connection to all Americans that it is truly moving. Spending time in this historic area gave me such an appreciation for the country that I am so proud to come from. We watched The Longest Day before touring the area just to have a little more background. There are many good books about this part of our history, and if you are planning on visiting the Normandy beaches, it is a good idea read a few (I didn’t but you should, so there). One can spend days touring the area by visiting the museums, different allied beaches and the villages that were involved during the invasion. We decided to keep it on the light side, but at some point it would be interesting to dig in a little deeper. We all know that our world history can be rather gruesome, and there is certainly enough time for our 8 and 10 year old daughters to learn about all the troubles in the world. 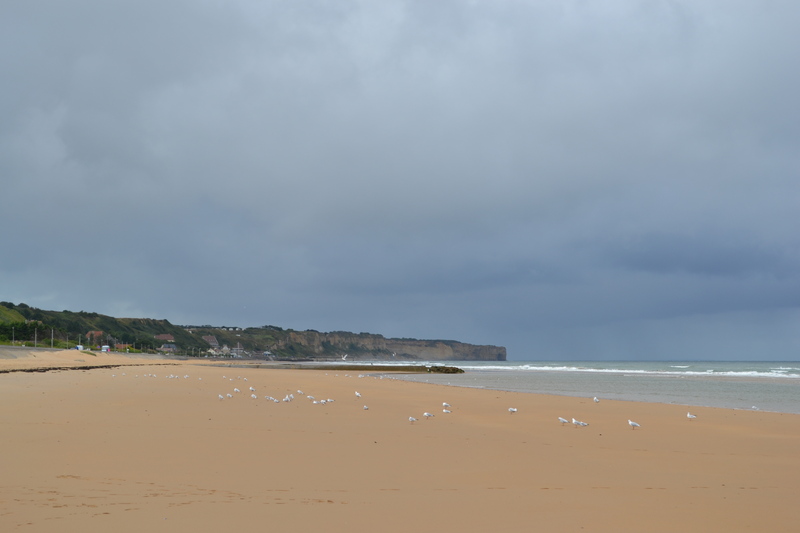 It had been raining on our drive out to the area, but as soon as we parked at Omaha Beach, the sun showed up. The beach is serenely beautiful. 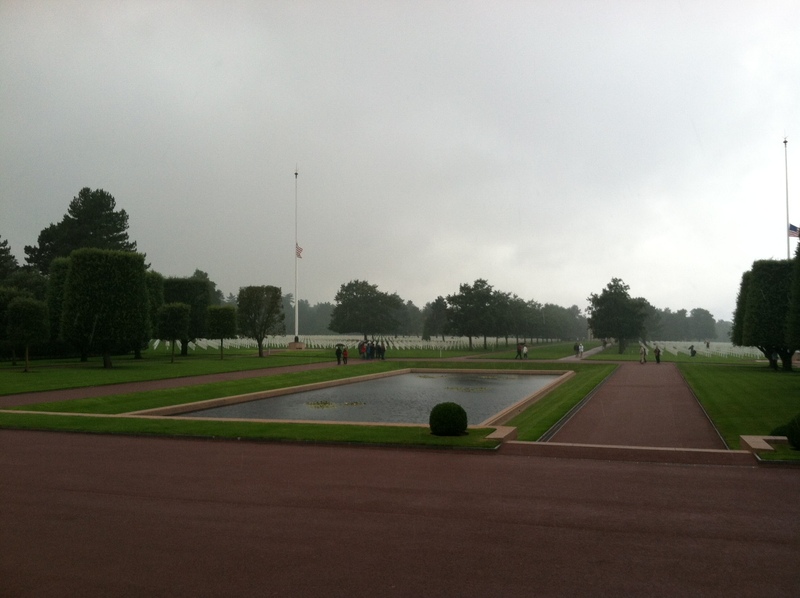 It is hard to imagine the horrors and triumphs that took place on June 6, 1944. It is certainly hallowed grounds. 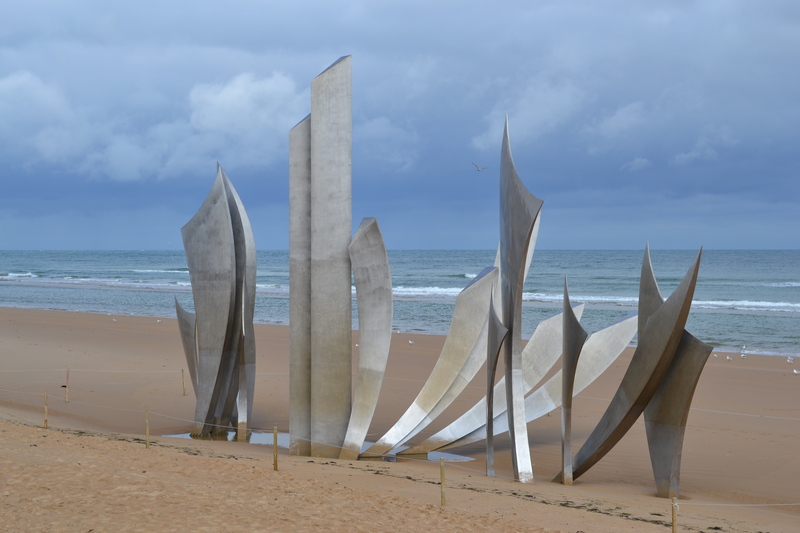 There is a beautiful monument honoring all those who landed on the Normandy beaches that day. There were over 5,000 ships and 13,000 aircraft used during the invasion. 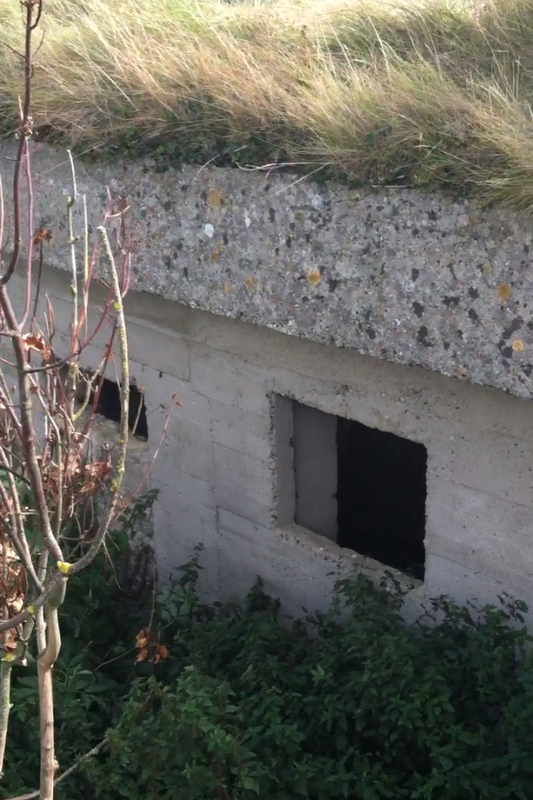 We were able to climb up the bluffs and found German bunkers, very surreal! One amazing thing about having kids though, is that it brings you back to the present moment, no dwelling on the past for too long. Time to continue on our journey!